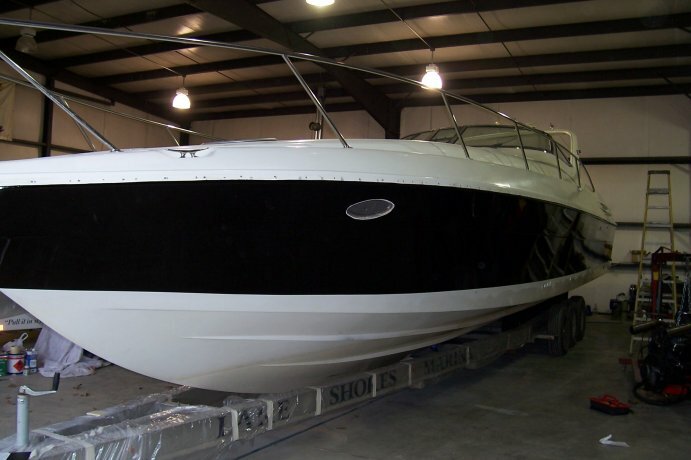 Lake Shores Marina is a full service marine facility. We are located near the 8mm of Lake of the Ozarks , in Sunrise Beach, MO. The Marina has been family owned and operated by us since purchased in March of 1997. Lake Shores Marina main focus is on service. We do not sell boats here. Any mechanical service is welcome, from routine maintenance, repairs, or upgrades. Joel, our lead technician, and his crew will accomodate any issues. With nearly 20 yrs. marine specific experience in all types of vessels, he can handle most anything, and get it done in a timely fashion, for a fair cost. Most importantly, done right ! Lake Shores Marina is co-owned by two brothers, Joel & Jason Zolecki. We were lucky to get involved in the High Energy sport of Offshore Racing in 2006. A current customer and friend Brad Harrington had purchased a boat to race with, and we did some re-rigging and modifications it. We then formed a partnership of sorts, and Jason got to drive, with Brad running the Throttles. Joel is crew chief, keeping things operating properly. In our first season, we completed 6 races and won the 2006 SBI / APBA / UIM World Championships in Key West, FL. Jason went on to race with Simmons Marine in a 34' Phantom, winning a lot and gaining much experience on running fast boats in rough water. 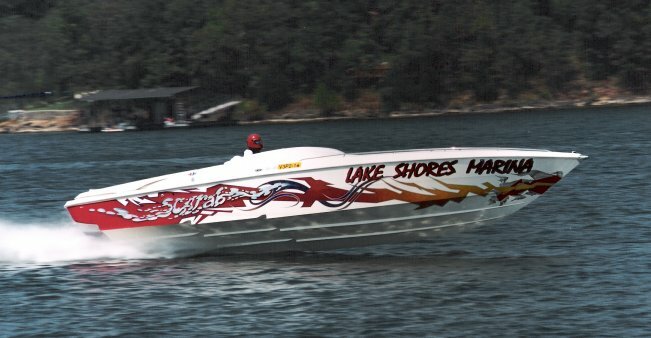 The original 28 Saber is pictured above as it still runs now as "Team Kansas"
Custom performance engines, designed and assembled by Lake Shores Marina. 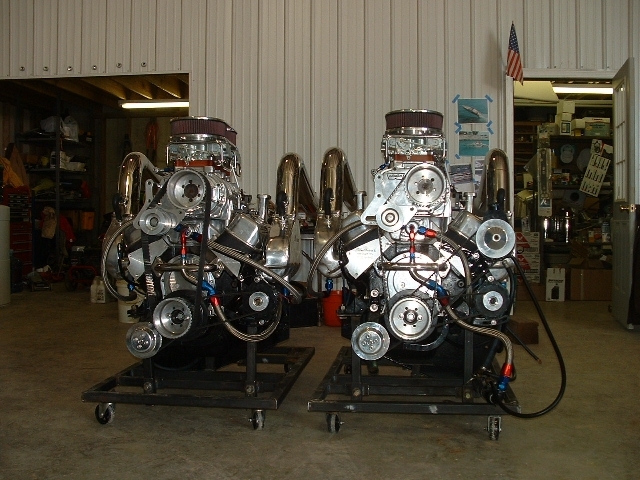 We have the ability to provide our customers with full engine rebuild or customization services. Local machine shop K&C Precision Engine, does all our machine work with a flawless track record for quality. In the past we have built, and modified from mild to wild.